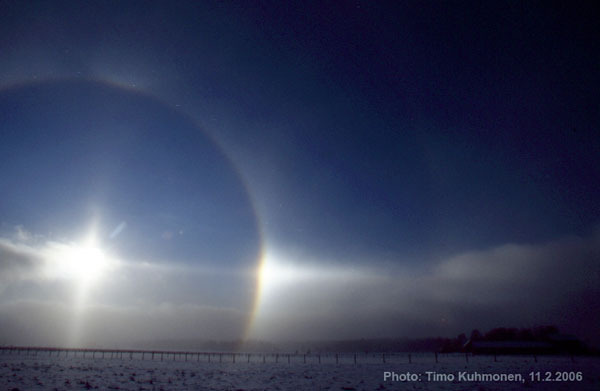 Last weekend people in northern Helsinki were amazed to see "rainbows" and three suns in the sky. Here shown is one of the photos of the halo display by Timo Kuhmonen. See also the photo taken by Esko Lyytinen. Thats a beauty nothing here in Ohio USA for a while except a 22d halo.